Planet Heart has the brands that you want! All the brands, designs, names, logos, slogans, and the HeartMark patent and trademark on this website are available for licensing in a variety of categories. PLANET HEART CAN HELP YOU CONNECT TO YOUR CUSTOMERS! If you are a manufacturer, Planet Heart has designs that will help your products sell! Please fill out the contact form on the portfolio page or contact Tali Lehavi. Some incredible designs in your category are not on the website. Please write what you are looking for so Planet Heart will match the right product that will help you connect with your customers! If you are an advertiser, Planet Heart can offer the registered trademark Heart Hand gesture called the HeartMark for licensing. Many strong slogans are associated with this peaceful gesture. Please inquire to hear about how this trademarked gesture can help your cause and connect you to your audience! In addition, Lehavi developed HeartMark Health which included unique nutrition lessons, fitness classes, and materials for inspiring others to optimum health. 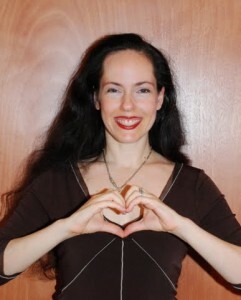 The registered heart hand gesture is a brand of connectivity. You may now be familiar with the heart hand gesture. It is becoming popular. If you want to ad it to your campaign in ads or on products, please contact talilehavi@aol.com subject: license the HeartMark. Room Magic–room furniture designer who is using my Heart Mandala and Kissing Fish design and sells them at multiple locations including Macy’s and online retailers.